Possessing a smartphone with a large internal memory has its advantages. For one thing, you need not clear out your memory card to make space for the important stuff. 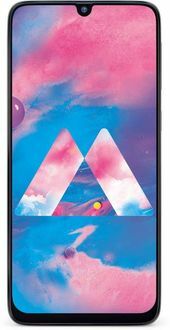 64GB internal memory mobiles with their respective prices have been made available to you at the lowest prices from major online stores like Flipkart, Amazon, Snapdeal, Shopclues, and Paytm. Low internal memory mobiles do not even compare to the 64GB smartphones from giants such as Samsung, Apple, Xiaomi, OnePlus, and many others. We assure you that the prices of these 64GB internal memory phones as shown above are lowest across online and offline platforms in India. Please note that the prices of 64GB internal memory smartphones as indicated above are valid only in major Indian cities such as Delhi, Bangalore, Mumbai, Kolkata, Pune, Hyderabad, and Chennai since the tax rates are standard in these cities. However, there might be a slight variation in the prices in other towns and cities due to inconsistent tax rates. Nokia India Shares Teaser of a New Phone to Launch Soon with 'Mega Display'; Could it be Nokia 7.1 Plus?